The illustration on our cover is from the new paperback edition of S. E. Hinton's The Outsiders (Fontana Lions 0 00 671427 7, £1.00). We are grateful to Fontana Lions for making it possible to use it. 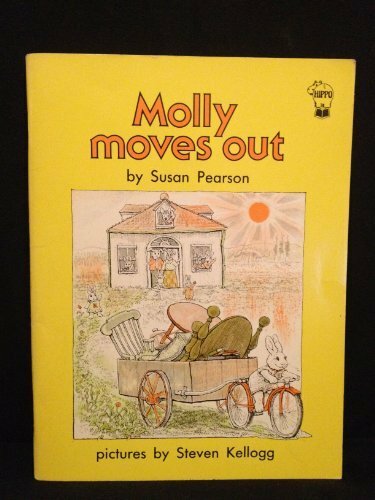 Fed up with her overcrowded home, not to mention her interfering brothers and sisters, Molly Rabbit decides to go it alone. However, the delights of solo living soon begin to pale and just when Molly is feeling at her lowest, her spirits are revived by neighbor Martha (mouse) and finally a house-warming party from her family makes her realise how much she enjoys having them around. Originally one of the Bodley Beginner series for new solo readers, it is good to see this delightful book in paperback, with a much brighter cover too.